Black globes with brushed stainless center as shown. New condition. Nice fixture just not right for our house. 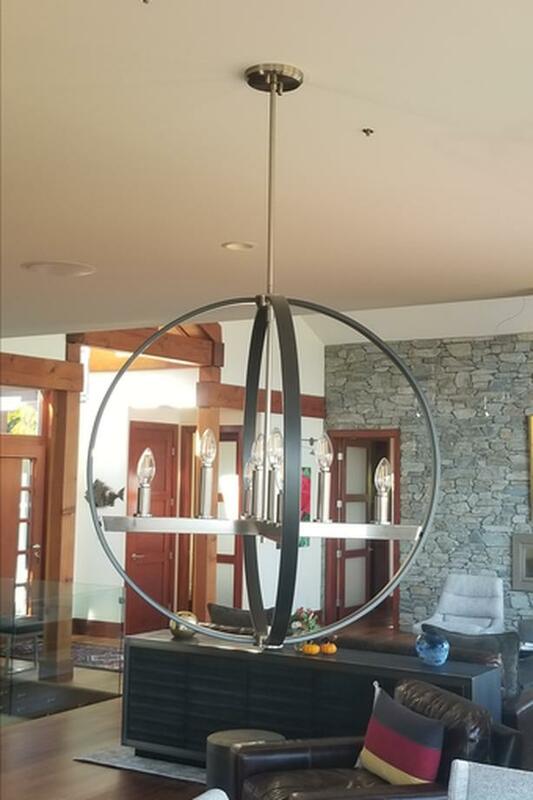 Fixture is 28 inches in diameter. Comes with multiple rods to adjust hanging height and original box and instructions. Also includes glass tube shrouds to go over bulbs for a different look. Paid over $500 a couple of months ago.